Welcome home to 11848 Delfina Ln. in the guard-gated community of Villagewalk at Lake Nona. This 2 bedroom, 2 bathroom waterfront home features an open floor plan that allows an easy flow between the family room, kitchen and dining room. The spacious master suite offers water views and a master bathroom with dual sink vanity and walk-in shower. Enjoy outdoor living at its finest on the screened enclosure, or the additional open paver patio. The home also has a two-car garage and indoor laundry room. Villagewalk at Lake Nona is known for its serene ponds and canal system with bridged walking trails that lead to the resort-style swimming pool, tennis courts, and the rec building complete with a 24-hour fitness center and community lounge area. HOA fees cover all amenities, as well as monitored home security system, cable and High-Speed internet, and lawn maintenance (including irrigation and fertilization). 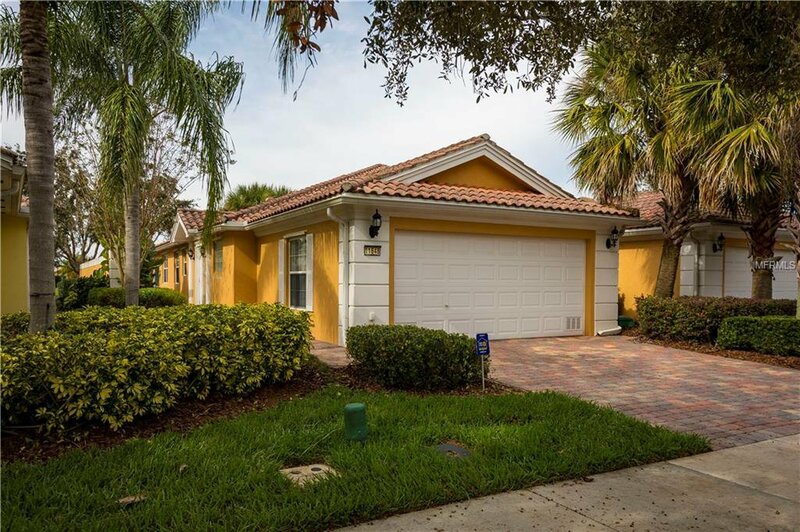 In the heart of Lake Nona, this home is conveniently located just minutes from Lake Nona Medical City, USTA, FL-528, FL-417, and the Orlando International Airport. Listing courtesy of STOCKWORTH REALTY GROUP. Selling Office: STOCKWORTH REALTY GROUP.